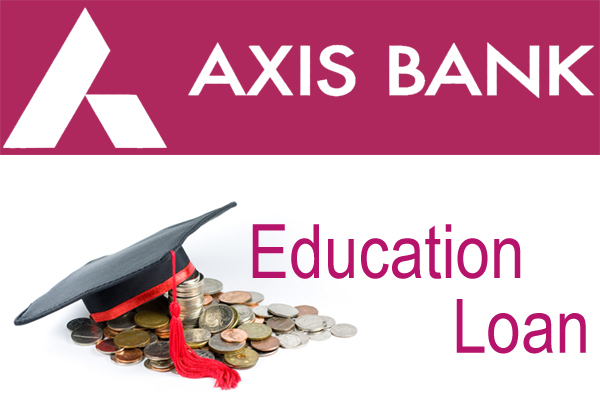 Axis Bank's Study Power aims to provide financial support to deserving students for pursuing higher professional or technical education in India and abroad. The education loan would be provided to those students who have obtained admission to career-oriented courses e.g. medicine, engineering, management etc., either at the graduate or post-graduate level. *The quantum of Loan can be higher amounts, above these caps, subject to eligibility and cost, for case-to-case approval. Loan will be given within 15 working days from the date of receipt of the complete application along with all documents required by the bank for a proper appraisal. The parent(s) or guardian of the student would be treated as a co-applicant of the loan. His or her role would be, necessarily, like the primary debtor. No margin for loans upto Rs 4 lacs. 15% for higher studies overseas. Additional security in the form of an LIC Policy in favour of the Bank with the sum assured being at least 100% of the education loan amount may be required. Tangible collateral security of suitable value acceptable to bank alongwith the assignment of future income of the student for payment of installments. Loan will be disbursed in full or in suitable instalments taking into account the requirement of funds and/or fee schedule as assessed by the Bank directly to the educational institution or vendor of books or equipment or instruments. "TRISHUL",Third Floor, Opp. Samartheshwar Temple, Nr.Law Garden, Ellisbridge, Ahmedabad - 380 006. 13th Floor, Maker Tower - F, Cuffe Parade, Colaba, Mumbai - 400 005.